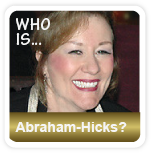 When “The Secret” first came out, people got very excited about putting the law of attraction at work for them. Plenty of people were visualizing and putting their faith in the manifestation of their desires and dreams. Over time though, some people lost heart because they did not experience their dreams coming true. They visualized, made positive affirmations, and so on, but the law of attraction still did not seem to work for them. For some reason, they had not mastered the law of attraction. I’m sure there was a great disappointment. 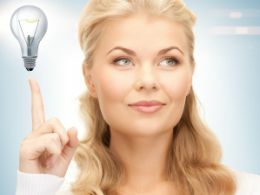 To get so inspired and then to be let down certainly is disheartening, but I dare to say that there may be a solid reason why the law of attraction was not working for them. A common misconception about the law of attraction is that you will get your desires simply by thinking about them. While it is very important that your thoughts line up with your desires, for the law of attraction to work, you must take inspired action. By inspired action I mean that you have to create forward momentum toward the dreams or goals. You cannot simply lie around all day visualizing everything you want and it magically appear. You’re not going to become a lawyer by sitting around seeing yourself as a lawyer. There are inspired actions that you would have to take, such as applying for college, studying, and so on. 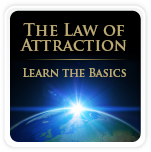 To master the law of attraction you are going to have to learn how to take inspired action. Inspired action is taking action with passionate intent. You intend to see your desires manifested, so you take inspired actions toward them. As you create positive momentum, the law of attraction goes to work for you, attracting positive people and things into your life that thrust you toward your goal. There is absolutely no forcing. The flowing just happens freely. If you feel you have to force something, it will repel the law of attraction forces. The first thing you will need to do is be specific about your intention. What do you want? Next, ask for it. Don’t keep asking for it. Ask for it one time and know that your desire went forth. Be sure that your thoughts line up with your request. Surround yourself with positive energy and speak positive affirmations surrounding your request. Visualize the manifestation of the goal. Feel the excitement as it really comes true for you. Know that your desires are on their way! Finally, take inspired action. As you line up with the positive vibrations and set your intentions on your goals, do something that creates that forward momentum. Clean out the garage for your new car. Buy some notebooks for your college courses. Organize your wardrobe for that new career. Clean your house for your next date. Mastering the law of attraction requires inspired action, so as you do so, be ready to receive all of your dreams!